Sherelle W. Sanders is a Shareholder in our Houston office, specializing in general liability defense, trucking/transportation, and coverage disputes. Ms. Sanders’s clients include Fortune 100 companies, business owners, trucking carriers, and insurance companies. As a trial lawyer, she employs lifelong advocacy skills to zealously represent her clients in the courtroom and through all stages of litigation. As a result, Ms. Sanders is often called upon to take on some of the most challenging cases. She is known for her attention to detail while keeping an eye on the big picture of every case. Ms. Sanders is a problem solver by nature and she is not afraid to take on cases that may seem overwhelming to others. She believes the best way to serve clients is to find resolutions that will not only benefit them now, but help them secure a future of growth. Ms. Sanders understands that behind the companies she represents are individuals with families and the communities they serve. Clients can expect Sherelle to work hard to find long-term solutions, and they can expect nothing but excellence from her to achieve their goals. When not litigating Ms. Sanders enjoys volunteering at local schools, mentoring young girls, and participating in various community service projects with her family. She also loves to travel, cook, and interior design. 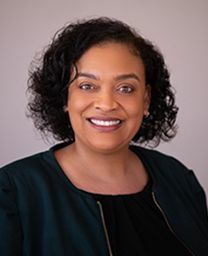 She received a Bachelor of Political Science in 1996 from Louisiana State University, and received a Doctor of Jurisprudence in 1996 from South Texas College of Law. She is a Member of the American Bar Association and Houston Bar Association.